I love Easter. It’s my favorite holiday, a quiet, uncluttered season with time to reflect on the life of Christ. 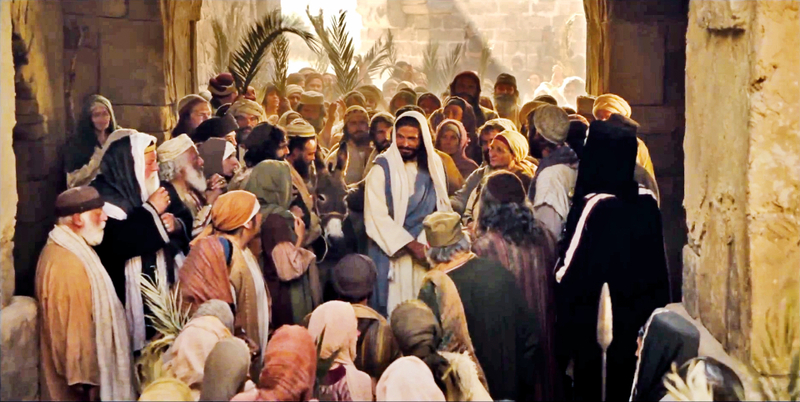 Amid shouts of “Hosanna to the Son of David,” Christ entered the city as the multitudes—perhaps thousands—spread garments and tree branches in his path as a token of welcome and reverence for the promised Messiah (see Matthew 21:6–11). The jealous plutarchy, gravely troubled by this Nazarene upstart, hailed as the Messiah by the common folk, spoke out, “Master, rebuke thy disciples.” He replied, “I tell you that, if these should hold their peace, the stones would immediately cry out” (see Luke 19:39–40). Thus began the week of weeks, the final days of our Savior’s mortal life. A great place to study His life is the online harmony of the gospels (begin with “Ⅳ. The Last Week: Atonement and Resurrection”). I would also like to offer you PDF downloads of two books, The Final Passover: A Word-Phrase Study of the Last Days of Jesus Christ and Behold the Man: A Biblical Narrative of the Last Days of Jesus Christ as a way to review the events of this sacred week. Since I was a small boy, I have believed that Jesus Christ was the Son of God. As I grew older, I came to not only believe in Him but to know Him, and that because He lives, there are no lost causes—not me, not you, not ever—as this video beautifully reminds us.